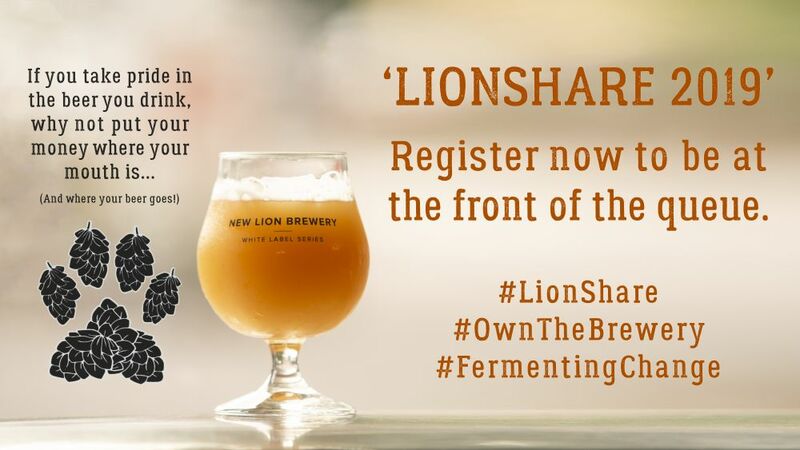 We thought that an update on LionShare, our community takeover of the Brewery, was overdue, so here it is. The story so far: our plan had been that Dartington Hall Trust were going to renovate the unit at Webbers Yard, Dartington, currently occupied by The Almond Thief, and that we would move in by May, sharing with them. However, in December, due to the under-performance of their bond issue, they told us they were unable to proceed with this work. Since that time, we have, together with The Almond Thief, Forest & Co and others, been trying to figure out a way forward to finding a different way of making this work. Plans are afoot, and things are progressing well, but it means that our LionShare plans have been put on hold until we have moved into the unit. Our plans are being driven by a deadline – we need to move out of our current unit by May 1st this year. So it is all very tight, and means that, even though we are putting everything we can into our dream of co-habitating and brewing up amazing things with our friends at The Almond Thief, it would also be good for us to have a Plan B. So, if you come across a venue in Totnes that could make a good home for us, do get in touch. We almost certainly won’t need it, but a Plan B is always a good thing to have in life, right? But if things go to plan, our thinking is to move into the new unit in May, and the share launch will follow shortly after that. So, watch this space, and when we have more news, we’ll be back to you. In the meantime, we have some amazing new White Label Series beers on the bar, and our Tap Room is open, as usual, Fridays and Saturdays, 5-9pm.